Thursday, May 8, 2014 at Sedgwick in San Francisco! 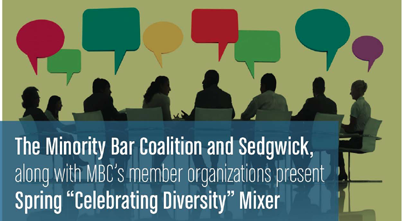 We expect a wonderful turnout for the upcoming Spring “Celebrating Diversity” Mixer! There are 16 co-sponsoring organizations! Free food and refreshments provided. View the flyer here!